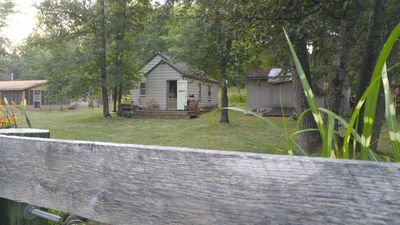 4200 Sq. 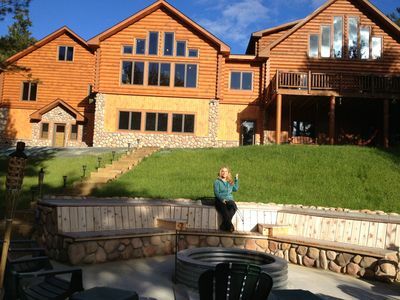 Ft. ~ Great For Family / Group Vacations! Amazing Views!!! 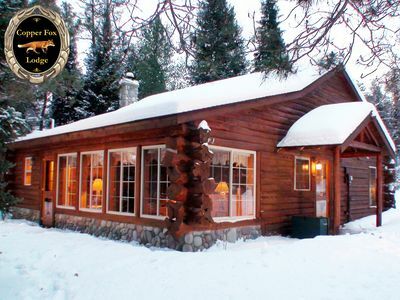 The lodge is a brand new log structure with many uniquely hand crafted features. 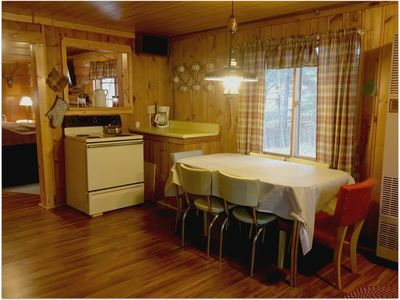 Fully furnished and ready to host your group of 2 to 28! 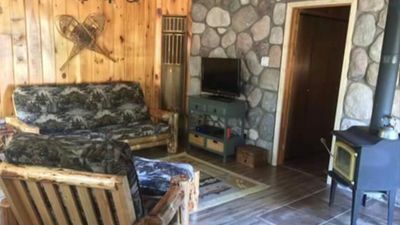 Especially designed to sleep up to 28 guests with 1 master suite and 3 bedrooms each containing 2 sets of full size hand crafted log bunk beds. Each of the 3 bedrooms sleep up to 8 guests. Perfect for families that vacation together, family reunions, weddings, 50th anniversary gatherings, honeymoons, retreats, etc... 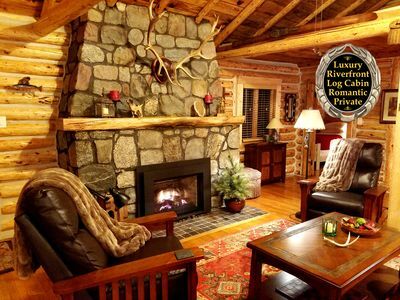 The decor is warm and welcoming for any occasion. 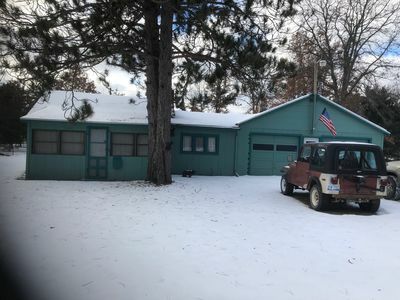 We also have access to Oscoda County's many ORV trails right from our property and are set up to accommodated ATV's and snowmobiles. 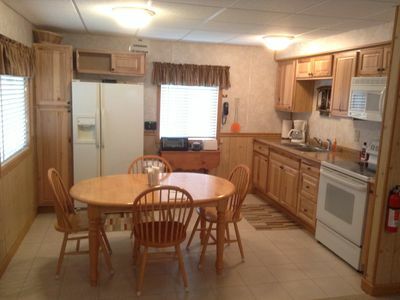 Enjoy a fully functional and equipped kitchen for all of your cooking needs. The large loft area has a table top shuffle board table and elliptical exercise machine along with lots of floor space for the kids! Our unique fire pit area has built in seating for large groups and offers a spectacular view. 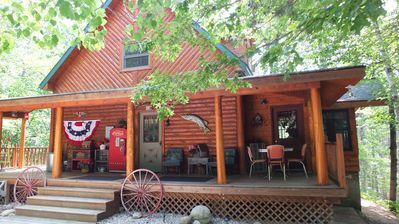 We have a large event grill and 2 picnic tables on the lower patio along with a patio table and chairs on the main floor outdoor deck....All facing the spectacular view! The beautiful sun room is the perfect place to get away and relax with a book or a chat with friends and offers an amazing view of the breath taking sunsets! 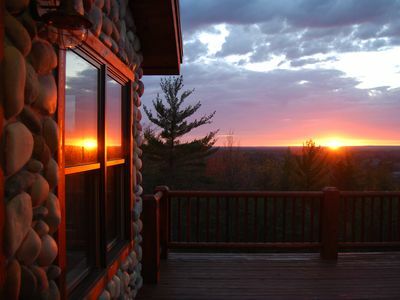 Most of our guests comment that they just want to stay at the lodge and enjoy the comfort and beauty of the home and the view. 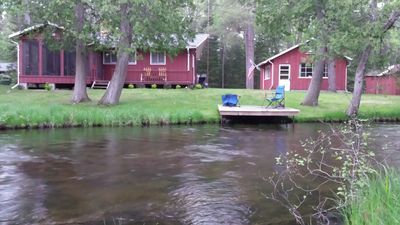 RIVER BEND LODGE on Au Sable River: Pet-friendly Au Sable cozy cabin! 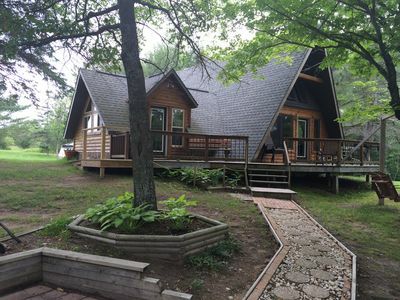 Perfect Tranquility--where nature and wildlife are your only neighbors! 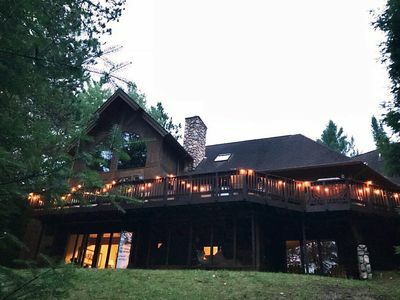 Romanic Getaway w/Hottub! 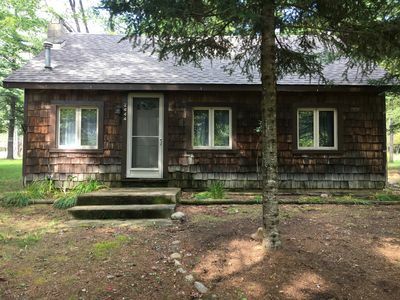 Secluded, wooded setting! 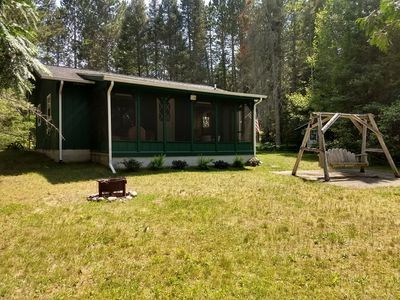 Close to the Ausable River! 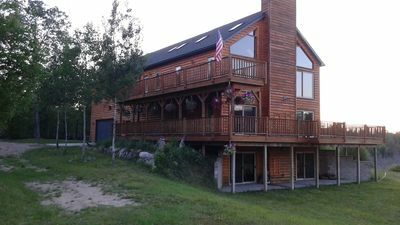 Large private home on 50 acres next to golf & trails. 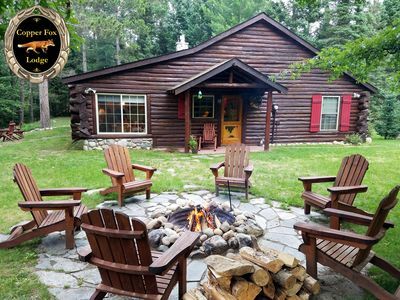 THE PERFECT SPOT TO UNWIND, RELAX AND ENJOY NATURE! 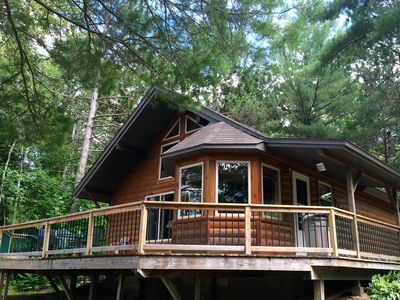 Quiet, Wooded Seclusion! 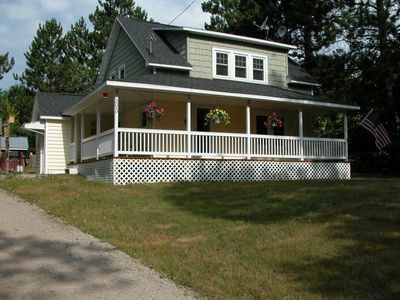 Minutes to Trails, the Au Sable River & Garland Golf! 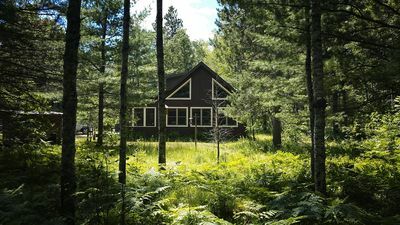 Secluded Luxury Cabin Retreat On The "Ausable National Scenic River"
Perfect for special family occasion or private hunting/fishing lodge! 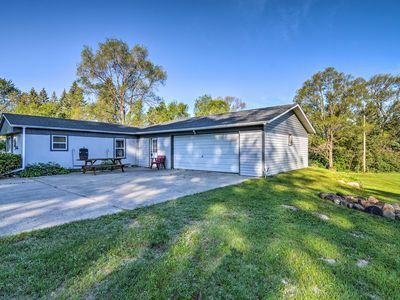 Cozy Downtown Fairview Home Near River & Hunting!